Ukrainian President Viktor Yanukovich is likely to resist extra pressure and the lure of trade deals to release his fiercest rival, ex-prime minister Yulia Tymoshenko. Though he has pardoned former interior minister Yuri Lutsenko, a Tymoshenko ally, that will not be enough to satisfy European Union demands for democratic reform and clinch association and free-trade agreements with the 27-member bloc in November, at a summit in the Lithuanian capital Vilnius. "I would not open a bottle of champagne yet for Ukraine and its future (after Lutsenko's release). There are plenty of doubts as to whether Ukraine will be able to implement other commitments," said Olga Shumylo-Tapiola, visiting scholar of Carnegie Europe in Brussels. 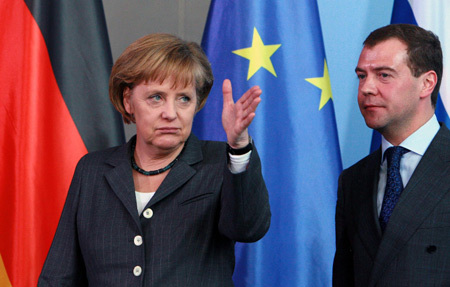 "I would say that the prospects of signing the agreements are still bleak," she said. Both the EU and the United States urged Yanukovich to follow up on Sunday's pardon of Lutsenko, who was serving four years for abuse of office, by addressing other cases of "selective justice" and what they say are politically motivated prosecutions - a clear call for Tymoshenko to be released. 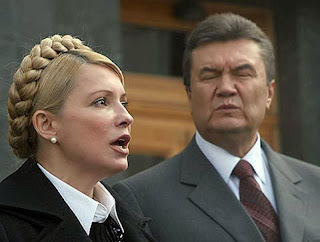 But few commentators see any likelihood that Yanukovich, a 62-year-old former electrician from the industrial east, will pardon Tymoshenko, who came close to beating him for the presidency in February 2010. "We can expect demands for the release of Tymoshenko to increase now," said Volodymyr Fesenko, analyst of the Penta political think-tank, but added: "He (Yanukovich) is afraid of Tymoshenko, so she will stay in prison." The 52-year-old braided heroine of the 2004 "Orange Revolution" street protests that overturned an election rigged in Yanukovich's favor is one and a half years into a seven-year sentence for abuse of office linked to a 2009 gas deal she brokered with Russia. 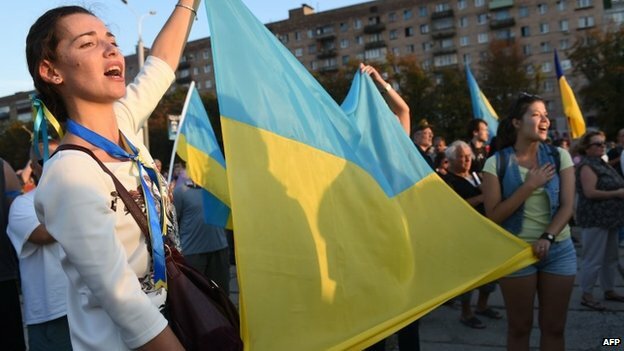 The Yanukovich government says the deal saddled the country with an exorbitant price for gas imports. 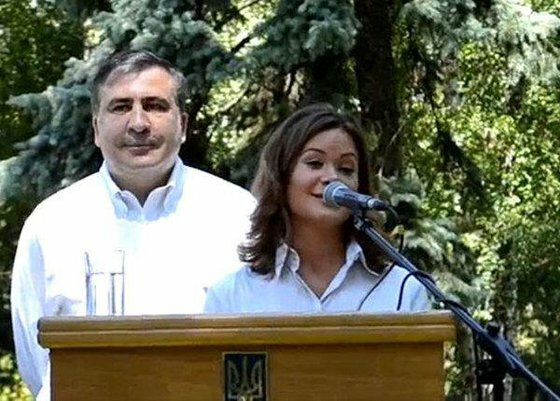 And rather than listen to Western pleas to show her leniency, justice authorities are piling up more cases against her, including one alleging involvement in the 1996 contract killing of a business rival and Ukrainian parliamentarian. The problem, as Western analysts see it, is that when it comes to deciding policy priorities, Yanukovich's overriding ambition to secure re-election in 2015 takes precedence. "The ruling elite in Ukraine has two simple aims: to consolidate power and to proceed with EU integration process as quickly as possible. 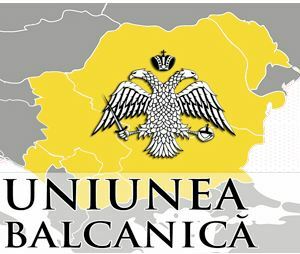 The trouble is that the methods it uses to achieve the former make the latter impossible," Jana Kobzova and Balazs Jarabik said in a joint European Council on Foreign Relations report. The free-trade agreement potentially on offer from the EU would open up a huge market for Ukrainian exports - steel, grain, chemicals and food products - and provide a powerful spur for much-needed foreign investment. It would be a boon for a country that traditionally has relied on trade with big neighbor Russia. With an EU deal clearly in the business interests of influential power brokers such as steel billionaire Rinat Akhmetov and others, Yanukovich has consistently set European integration as a foreign policy priority. But he resorts nonetheless to playing the "Russia card", suggesting that Ukraine could easily turn back to Moscow - which beckons with an invitation to join the Russia-led Customs Union - if it does not get an easier ride from its EU partners. 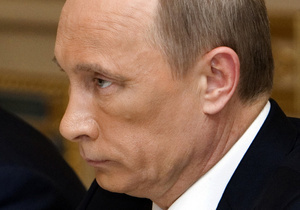 Earlier this year, he reproached the EU for not giving Ukraine enough support in its negotiations with Russia to secure a cheaper price for gas. 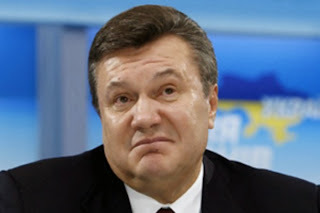 Politically, Yanukovich is not as strong as he was. 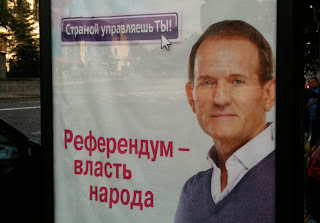 Support for his Party of the Regions dipped in a parliamentary election last October, and a March poll shows his popularity has fallen by more than a percentage point against new potential presidential challengers such as world heavyweight boxing champion Vitaly Klitschko. 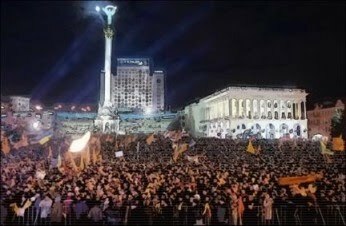 But despite drawing crowds of several thousands out in street rallies, the united opposition led by Klitschko, former economy minister Arseny Yatseniuk and far-right nationalist Oleh Tyahnybok, has largely failed to capitalize on Yanukovich's unpopularity, analysts say. Ukraine is also still adrift on other parts of the EU reform agenda, such as reforming its election system, despite criticism by the OSCE watchdog last year, and overhauling a judiciary still heavily dependent on the country's political masters. Turmoil in parliament, often an arena for fist-fights between Yanukovich loyalists and opposition deputies, further undermines Ukraine's hope of being taken seriously by Europe's parliamentary democracies. Graft and rampant corruption throughout the former Soviet republic scare off all but the hardiest foreign investors, and the EU itself has refused to provide financial aid to Ukraine's budget since 2011, citing weak procurement rules. Беларусь выходит из эксперимента под названием Таможенный союз? 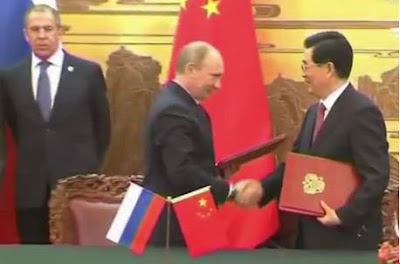 Russia and China - Partnership of "Rabbit and Boa"
Саакашвили - путинский "план Б" по захвату "Новороссии"
Еврореволюция, война кланов или спецоперация по захвату Украины?